The Turkey UFO Kumburgaz Incident - What Really Happened! Although Turkey has a long history of UFO reports ancient and present, between 2007 and 2009 the residents of Kumburgaz were witness to an unusual flap of ongoing multiple incidents of anomalous aerial objects. Local citizens men, woman, and children saw things they could not explain and are still unable to. There were oval and circular unidentified aerial objects which seem to present themselves silently in the air stationary and occasionally maneuver. There were also red, orange, and white pulsating plasma lights behaving in a strange manner. The video was recorded with a camera that had a tele-Iconverter adapter capable of filming at 200 times optical achieving a great amount of detail. At first, the videos were analyzed under the direction of researcher Haktan Akdogan. SIRIUS UFO and Space Science Research Center (no relation to Greer) firstly spoke with all the witnesses separately and then did the analysis of the videos. With participation of the members of their science board they enlarged the video images. They did all the detailed analysis, checked their pixels, and went through frame by frame. The video was analyzed by "The Scientific and Technology Research Board of Turkey" and "TUG National Observatory" which are both sponsored by the state and highly influential. After doing all the necessary analysis which went on for several weeks, the board came to a definite conclusion with no doubt that these are 100% genuine videos. The objects sighted in the aforementioned footage that have a structure that is made of specific material are definitely not made up by any kind of computer animation nor are they any form of special effects used for simulation in a studio or for a video effect therefore in conclusion it was decided that the sightings were neither a mock up or hoax. And it is concluded that these objects in the sightings that have physical and material structures do not belong in any category such as; planes, helicopters, meteors, Venus, Mars, satellites, fire balls, Chinese lantern, fire balls, weather balloons, natural or atmospheric phenomenon etc. and but rather fall into the category of UFOs. The original cassettes of film have also been studied by people from Japan, Chile, Brazil, U.S, and Russia. After several attempts, to this date nobody has been able to successfully explain them the videos and they remain unidentified. The camera was pointing outwards towards the sea from the northwest region of Turkey and in that direction there were no oil platforms or lighthouses or anything that could have been misidentified. 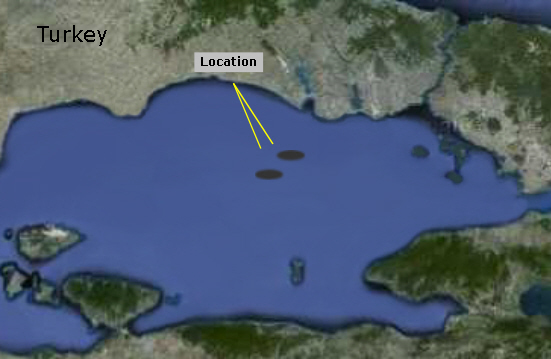 The Marmara sea is 27 miles across. There were over 12 witnesses who filed reports with SIRIUS. 25 different instances taking place over 21 separate dates. The remaining videos will be linked---just click the link to view them. 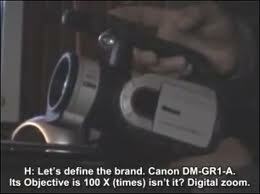 The camera was a MiniDV Canon DM-GRI-A based on the NTSC system with a diaphragm set at the maximum of 1.8. It's a 3CCD 20x optic 100x with a tele-converter mounted on a 58mm adapter. Tele-objective is a Sony brand vci hgd 1758 model lens, x 1.7. Roger Leir spoke about visiting Turkey and accompanying Yalcin in 2 separate years and seeing the UFOs in person. Here is a newly discovered video which shows several witnesses. It was taken outside a conference in Turkey when a large group of people spotted a bright light darting across the sky. What makes this most interesting is that it happened on May 14, 2009 which was in between May 13, 15, and 17, the dates of the 2009 video. This 33 minute segment shows an interesting part of the 2009 footage. After the sun comes up and the camera zooms out you can see just how far away the object is from the camera and now see surrounding environment. Notice that the shapes of both are very similar. Reporter: "We went to the tourist center Yeni Kent to find the people who accompanied Yalcin Yalman the single man who filmed the extraordinary evidence, demonstrating the authenticity of this case." Haktan Akdogan: "These are some of the people who saw it. All the kids witnessed the UFO fly over the water. This is the compound just here in this place by the beach is were Yalcin Yalman recorded the videos of the UFOs." Haktan Akdogan: "Usually they appeared over the sea here and went upwards silently to finish around this place. Then headed toward the city. Many people saw it fly over the housing complex here. And one of them here is going to talk." Witness # 1: "The first time saw them was between 3:00 and 5:30 am, but not every night. I have been witness to this, they had their lights on." Reporter: "What are your comments about what you saw?" Witness # 1: "I don't agree with what the skeptics say, because I know I saw them with my own two eyes." Reporter: "Four more people spotted ufos with you when it was recorded is that true?" Witness # 1: "Yes I saw it there is no doubt it was real." Reporter: "So Yalcin Yalman when you record them what do you think?" Yalcin Yalman: "I have seen it 7 times in 3 years I have recording several times with people (witnesses) who were there. And I calculate they are around 20 people." Witness # 2: "I saw a very intense, extremely bright light. It stayed there in the sky. By the way it moved I think this definitely goes against the laws of gravity." Witness # 2: "After staying there for a while it started to grow bigger like this and it suddenly disappeared." Reporter: "What do the local inhabitants think about Yalcin Yalman?" Witness # 2: "Yalcin Yalman spends most of his time recording he is usually accompanied by witnesses, that is the reason we are convinced that this is about authentic objects. We are witness of it." Reporter: "How important do you think this is?" Witness # 2: "What I saw is very significant for me, and it is also very significant for humanity?" "The Cruise Ship Theory" has been put to bed and debunked. I don't know what is in the film but as you can see it was not the bridge of a cruise ship. On January 31, 2008, a MiniDV format video cassette holding 35 minutes of footage was brought over to "TUBITAK" The Science and Technology Research Board of Turkey’s (a Scientific Institution owned by the state that is highly reliable and influential) National Observatory (TUG) by Mr.Tolga Ozdeniz, the Editor of "Reporter" that has been aired on ATV Channel. The footage on the cassette was said to have been recorded by a Canon GL1 MiniDV digital camera on a beach of a holiday village in Kumburgaz/Istanbul by an amateur. - The images were recorded in digital NTSC format by above-mentioned camera. - The date on the video indicates that the recordings were made during 2007, 2008, and 2009. - The first observation made from the footage is that some of the images were recorded in nighttime sky at a certain altitude from the horizon. The footage also covers images of moon in some parts which proves that the video was shot in nighttime and open air. But, the fact that digital date display’s showing AM in certain frames and PM in others, raises suspicion about the validity of the time in which the recordings were made. - Since in some parts, there is no other object that can be featured as a reference in the close-up frames and no observable differences were found on background examination, the actual location, distance, dimensions and nature of the objects could not have been determined. - Through the examination of shootings of multiple dates, it’s a strong possibility that 2-3 different objects were captured. However, it’s difficult to determine whether the objects are moving or not. Their movement is slow even if they do so. - The reflections of light on the objects are sometimes caused by moon which was in a convenient location at that time, and sometimes produced by some other sources of light. - The light reflection from the left side of the object which is seen on August 10th shootings is not produced by the moon. At that time, the moon was in a phase that was pretty close to the "new moon" phase and located approximately at a 10 degrees proximity/angle to the horizon. 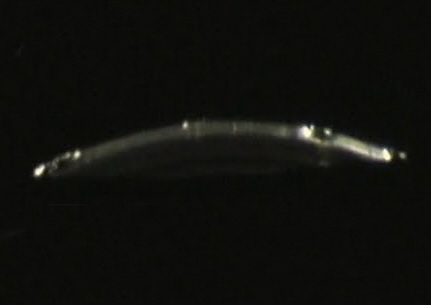 Moreover, the image processing analysis conducted on some part of the footage revealed that the center of the object has the same density as its background, namely is of a transparent nature. Accordingly, the term "UFO" (Unidentified Flying Object) which has been used for these sort of dubious objects can also be used for these objects. But, this definition does not mean that these objects are from extraterrestrial (flying saucer etc.) origin. "...the fact that digital date display’s showing AM in certain frames and PM in others, raises suspicion about the validity of the time in which the recordings were made. The actual location, distance, dimensions and nature of the objects could not have been determined. ...other reference objects need to be recorded in the same frame with the disputable object..."
The above excerpts from the article is why I call this sighting/video into question. It is exactly what people would expect to see in such a sighting. I have been looking into this sighting and I have watched most of the available footage, I can't put my finger on what is wrong with this, but, my own view is that it's fake. I could be wrong but that is my oun opinion but time will tell. I agree barry. 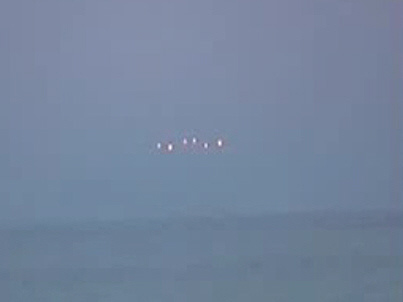 I'm wondering why the person filming this did not pan out and film something IDENTIFIABLE to scale to the UFO(?). Also, why does the UFO(?) appear only at night? 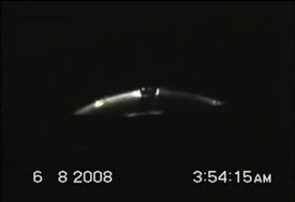 How was it the person(s) filming this knew where to be, on numerous times, to film where the alleged "flying saucer", and that is what "they" want us to believe it is, would appear.This is a HOAX. Hi skymon871, great first post thank you for sharing your research with us Its been a while since I looked into this case so before I make any opinions or comments could you answer a couple of questions please? (Ive not got time to go over 100's of pages). Dr Leir, he was present in 2008 and 2009? the footage from 2009 is Dr Leirs ? 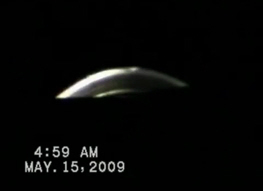 Did Dr Leir use Yalcin Yalmans camera to film the ufo in 2009 ? Or did he use his own camera ? 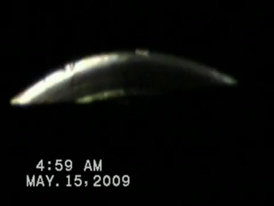 Over the 3 year period I understand the ufo was filmed on around 26 seperate days is that correct ? Which days if they are known was Dr Leir present in 2008 & 2009 ? Sorry for asking lots of questions (Ive got more) Im just trying to establish Dr leir's involvement and research into the case. 1. In several segments he does pan to other objects for a background comparison. 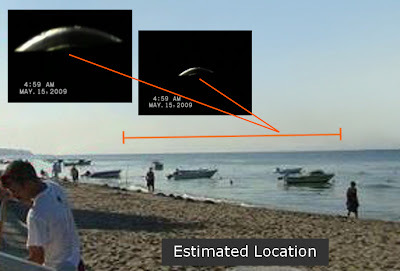 Some of those objects were the moon, nearby boats, to the left and right, the shoreline, and of course the barking dog which barks at the object on May 15, 2007. 2. In 2007 only Yalcin's camera which did not have the capability to display the time in Turkish had the am/pm backwards. This is explained because Yalcin speaks absolutely zero English, and believe me I have tried to talk to him without much success due to his lack of knowing English. After Haktan Akdogan noticed the camera was set to the wrong am/pm Haktan helped Yalcin change it to the correct time format. Haktan Akdogan speaks 100% fluent English and was actually born in New York. The am/pm being backwards in only the 2007 video is not something that should dismiss the entire case. It is a minor issue and does not indicate tampering or hoaxing. However, the 2007 timestamps should be considered not fully accurate even though the dates were correct. In 2008 and 2009 they are very accurate. Remember folks the Scientific and Technology Research department located at an observatory in Turkey did a close study of the MiniDV cassette originals and the footage was not tampered with or altered. They concluded that what ever was filmed was in camera. Roger Leir looked at the UFOs both through the lens of the camera and on a television monitor with others. The majority of this took place in 2009 but Leir was in Turkey during 2008 also. He did not own the camera it was Yalcin Yalman's camera but after a conference called the International UFO Congress in held in Istanbul Leir was asked to attend a sky watch. 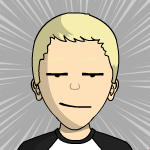 Leir had heard about what was going on and decided to go after the conference. Leir said there were about 7 to 8 people there and they indeed saw an object in the sky. There were no lighthouses or boats Leir said. The majority of Leir's accounts can be heard on his interview with Knapp on Coast to Coast. It was not Leir's camera. He however was standing only feet from the camera during the 2009 video and claims it was the real deal. Here is the Leir interview with Knapp were Leir tells what he saw. 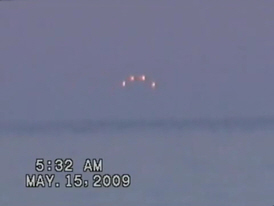 Here is a short version that proves the Turkey ufo videos are FAKE! One section repeated. Pause video when it says PAUSE. talking about to make clear to those being lied too that this was a HOAX. Dr. Roger Leir just happened to pop up in the middle of it!